On the weekend I listed three games that I believe were significant influences in how I play, approach and appreciate videogames today. I briefly explained how each title left their mark on me and now I present to you the other three games that I believe have also influenced my gaming habits in one way or another. It is said that the Final Fantasy game that introduces someone to the series will likely end up being that person's favourite, and as far as I am concerned, this is entirely true. While everyone was citing Final Fantasy VII as their favourite, and rightly so I might add, I was the odd one out with my nomination of Final Fantasy VIII. It was my introduction to the series but more importantly, it demonstrated to me just how immersive, involving and even emotional a videogame story could be. 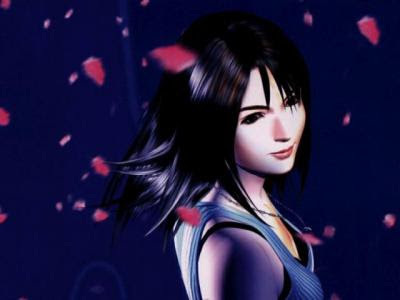 From the musical score to the more realistic aesthetic to the range of characters; I resonated with Final Fantasy VIII and its tale of orphaned children and it will forever remain in my memories as one of the most enjoyable, engaging and compelling stories I have ever had the pleasure of participating in. No matter what installment you choose to look at, you can always expect a level of polish and commitment in a Final Fantasy that you just don't get anywhere else, but it was Squall's adventures that grabbed hold of my attention and never let go, and it is something I will never, ever forget. I may have dabbled in multiplayer gaming before Perfect Dark (see Super Mario Kart from my last post), but it was Rare's magnum opus that showed me the joys of multiplayer -- both competitive and co-operative -- and the importance of what it is like to share such experiences with your friends. 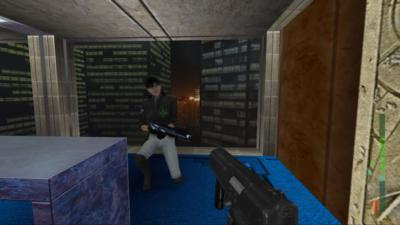 From co-operatively finishing the game's campaign, to killing each other time and time again in the various modes of Deathmatch, there was always something my friends and I could do in Perfect Dark and as a result, it did not leave my Nintendo 64 for years. Throw in a fantastically made first person shooter with an interesting story and compelling characters; great levels; awesome, futuristic weapons and gadgets; a rocking soundtrack; and a campaign that changed depending on difficulty, or indeed a friend trying to stop your progression, and what you end up with is a game that was well and truly ahead of its time. The fact it worked (albeit, not smoothly) is a miracle and because of this, in my mind, it is one of the best first person shooters I have ever played. Last we have Retro Studios' first foray into Nintendo's often forgotten yet popular franchise, and a game that is, without a doubt, my favourite gaming experience ever. Introducing me to Metroid for the first time, Metroid Prime delivered something so unique, so incredible, that still to this day it sits at the very peak of my list. While I did go on to become a fan(boy) of every other Metroid game, it is Retro's title that will forever stick with me, and the reason for that is due to the level of immersion it delivers while playing it. Gorgeous art direction, a beautiful soundtrack and a sense of isolation and mystery all combine to provide a very atmospheric title, leading to an extremely enjoyable experience. 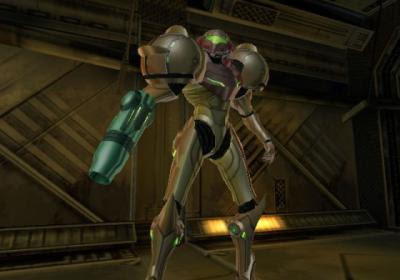 Come back in a few weeks for more on how I feel about Metroid Prime, as I will be revisiting it (and the two sequels: Echoes and Corruption) once I get my hands on the Metroid Prime Trilogy. So there you have it, the six games I believe have made a significant impact on my gaming career and the ones which continue to influence my gaming habits today. Looking back, it's interesting to see the omission of a Legend Of Zelda title or a traditional Mario game; most people would have at least one of these titles, if not more, in their own lists and for good reason too as both franchises have delivered titles that are easily some of the best games of all time. They are however, not as important to my own experiences as the six games I have mentioned and that is why they aren't included. I hope you enjoyed this brief insight into the games that have defined my tastes in videogames over the years. Some very interesting choices. I love reading insights like these. Were your choices really obvious and easy or did you find yourself working really hard to narrow it down into the absolute must-haves? Michelle -- Easy. All of these titles stand out in my gaming history, if you will, for the reasons I mentioned and much, much more. They are, simply, defining moments for me. Can't go wrong with that.